You don't necessarily need a huge space full of rooms to offer your clients a comfortable and flexible environment. Accents like room dividers are an inexpensive way to make your space more flexible by providing client privacy, directing traffic flow, and sectioning in the absence of additional rooms or hallways. 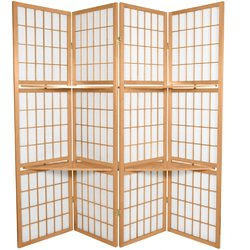 This simple, sophisticated room divider is equally suited to the spas, salons, home or office. 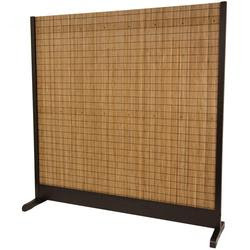 Constructed primarily from woven bamboo slats and mounted in a spruce frame with a rich walnut finish, it combines natural, traditional materials into a sleek, contemporary design. Perfect for dividing a space without obstructing light or air, this divider will make a functional and stylish impact on your decor. A modern twist on an ancient design, this room divider combines the grass and sophistication of a traditional shoji screen with the use and versatility of a shelving unit. Set against the simple geometric lines of the shoji screen, your objects d'art stand out beautifully on these shelves. Set it up in a wall or corner as a display, or set it in the middle of a room to partition a space or direct floor traffic. The possibilities are endless! 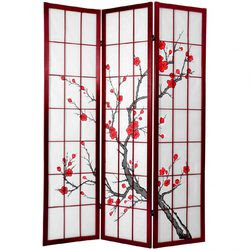 This handsome room divider is constructed from Scandinavian spruce and shoji rice paper adorned with a blossoming cherry tree, the age-old symbol of Japan. Renowned for its translucent glow in the sunlight, Shoji paper has been a beloved part of Japan's remarkable architecture for over a thousand years. This elegant folding screen is designed for the modern home, and is a perfect way to partition a space, add privacy, or bring a decorative accent to a room.